Jim Broadbent Harry Potter films signed 10x8 inch photo. 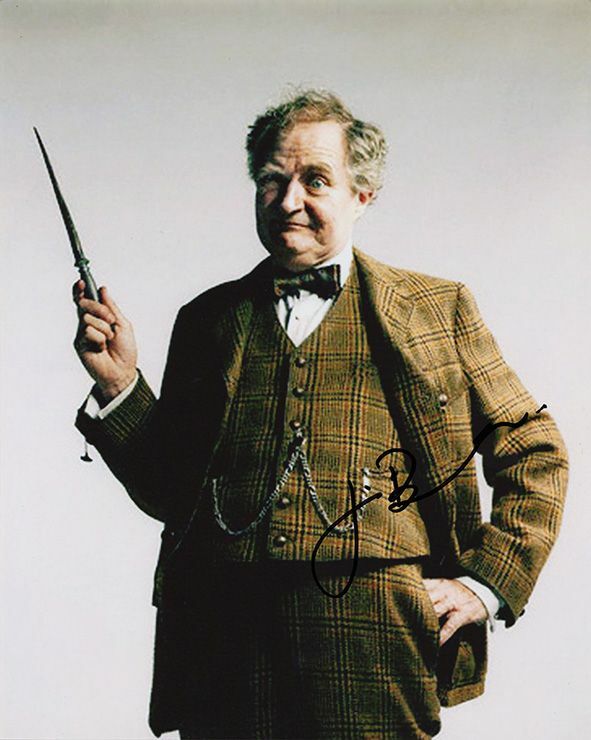 10x8 inch colour photo personally hand-signed in black sharpie pen by English actor, Jim Broadbent. Broadbent is best known for his roles in Iris (2001), Moulin Rouge (2001), Topsy-Turvy (1999), Bridget Jones' Diary (2001), Hot Fuzz (2007), The Iron Lady (2011), and Cloud Atlas (2012). He also appears in the later Harry Potter films as Horace Slughorn. Broadbent has also starred in the drama television film Longford (2006), receiving the British Academy Television Award for Best Actor and Golden Globe Award for Best Actor.